The Lords of BvP have spoken and George Springer has answered the call. He has a solid, if unspectacular, .267 BAA against James Paxton but he also have 4 XBH, 4 RBI, and 5 runs against him. I love that Springer hits at the top of the order for Houston; the potential for the extra AB is always so enticing. He’s 0-5 his last two games with 2 BB, but prior to that he had hits in eight of nine games (three multi-hit games) with 3 HR and 7 RBI (not bad from the leadoff position). 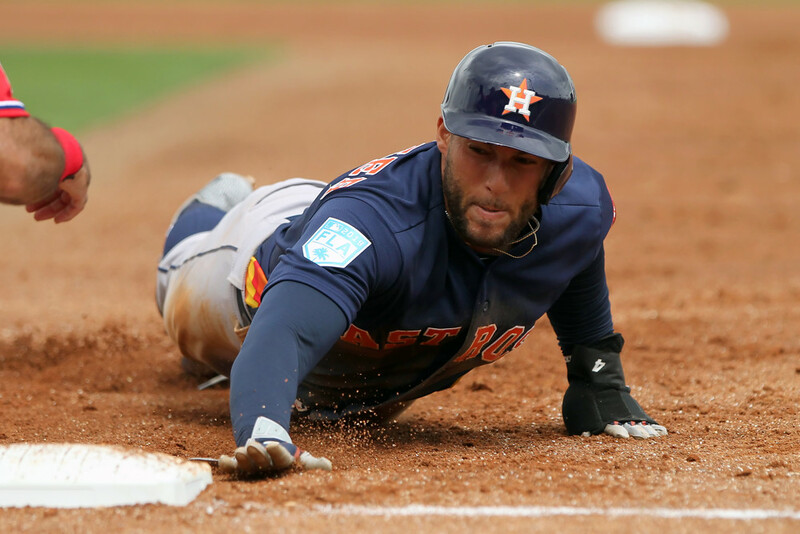 With his little cold streak (1 for his last 11 going back three games) we have seen a nice price drop for Springer so we can get him into our lineups a little more cheaply than normal. I’m willing to overlook his mini-slump for a reduced price tag. We aren’t trying to be lazy here, but Rendon is on a heater and he once again has a strong BvP against Pivetta. In 12 AB against him he has a .500 BA with 4 XBH, 6 RBI, and 4 runs scored. Rendon is on a 9-game hitting streak, including 10 XBH, 11 RBI, and 5 multi-hit games. For his part, Pivetta has been pitching like garbage with a 6.52 ERA and 3 HR allowed in two starts this year. There’s really no reason to get cute here; the pitchers are weak today so you find a value there and spend up on a stud bat. I would take a long look at Odorizzi against the strike-out prone Mets. They do not have a lot of history against Odorizzi, but against RHP in general they have whiffed a ton (31% K-rate). I don’t really worry about their other numbers against RHP because there are no negative points for pitchers when they give up runs. The only real thing to worry about is innings and strikeouts (a win would be nice as well). For all his relative mediocrity, Odorizzi can bring the heat when he needs to. In his first start this year he had 11 K’s in 6 IP against the Indians. While we can’t completely his ignore his total breakdown against the Phillies (0.2IP/4ER/3BB), we can’t expect that kind of start every time. In reality is somewhere between those two pitchers; but I’ll gladly pay down for a guy who can get us a K per inning against a team that whiffs 31% of the time against RHP. No, this isn’t an overreaction from last night’s game against Jacob DeGrom by the Twins. This is more of a correction of analysis of this series to better correlate with Fanball scoring. Strikeouts are king on Fanball and the Twins are the second hardest team to K for RHP. There is no reason whatsoever to pay all the way up for Thor if his strikeout potential is significantly reduced. There are higher upside strikeout pitchers out there that will cost you significantly less. Today feels like a spend down day for pitcher so we can load up on strong bats, and Syndergaard doesn’t allow us to do that. I love Thor; I just won’t use him today.